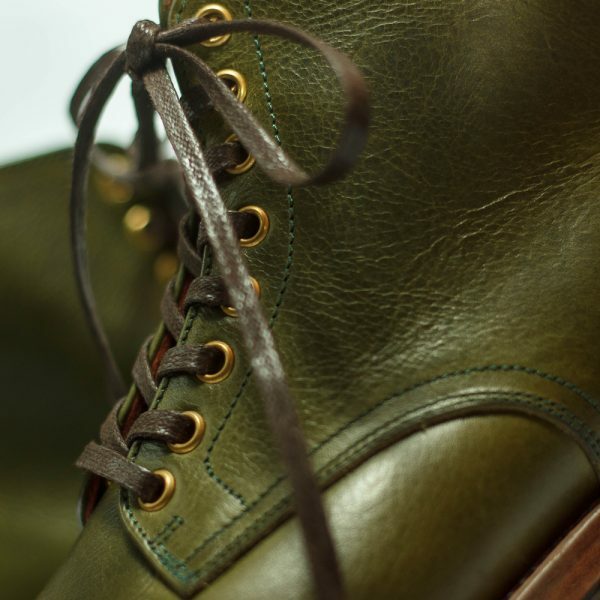 Preserve the most traditional tanning process, producing unique leather that is not afraid to be the testimony of time, Carlo Badalassi specialized in vegetable tanning for over 40 years. 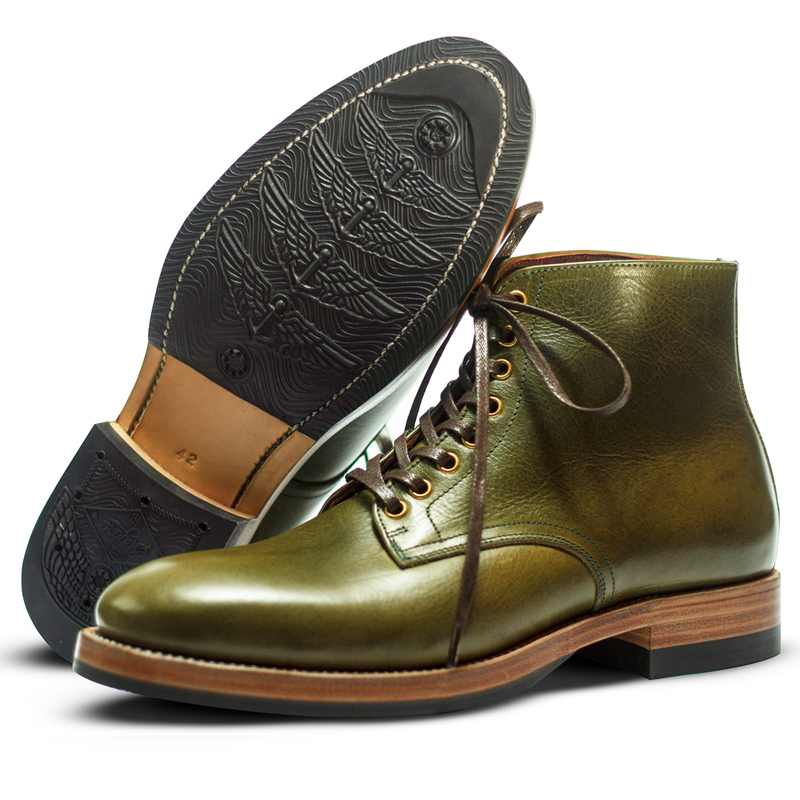 Their top grade Minerva Waxy in Oliva Green with a supple feel and unique rustic possess deep character as it ages to form exceptional patina. 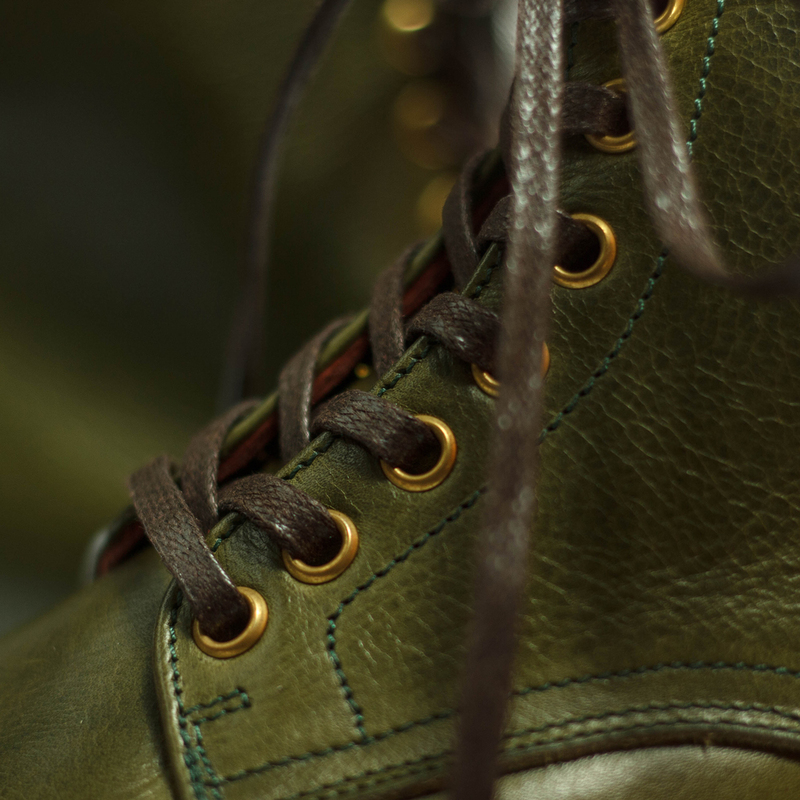 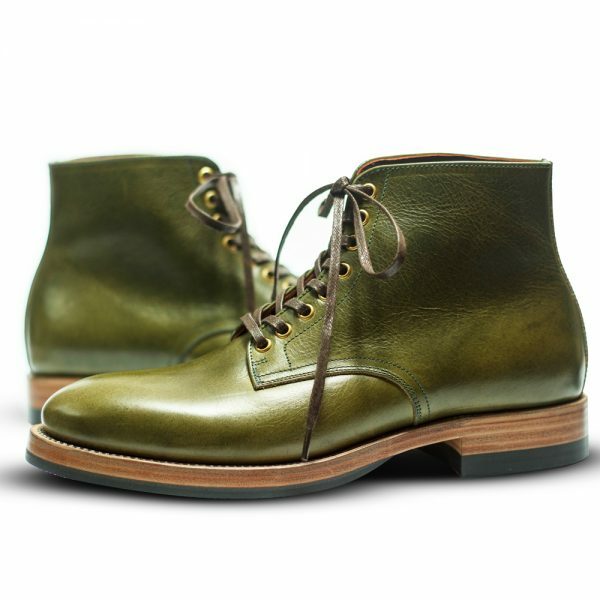 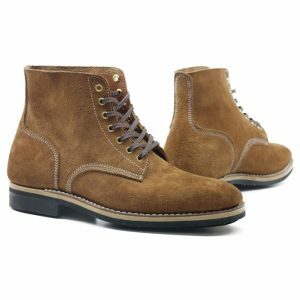 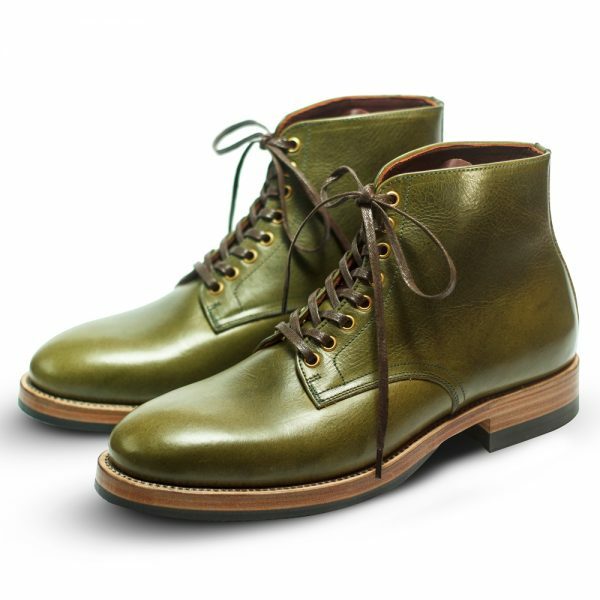 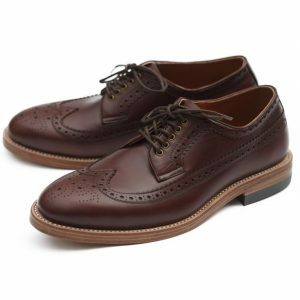 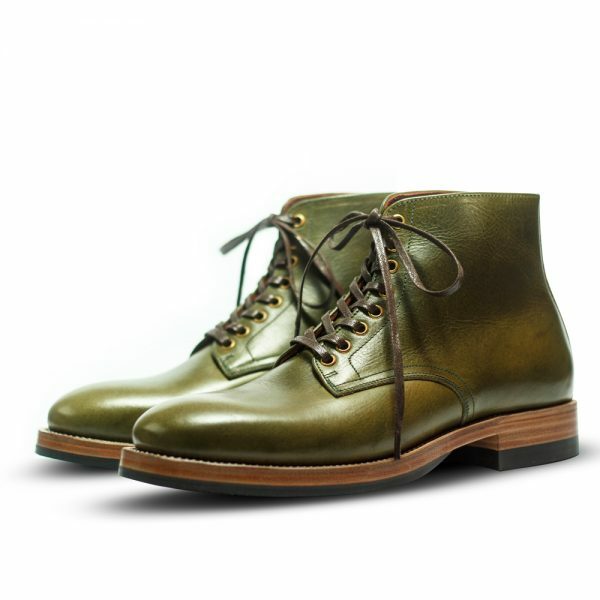 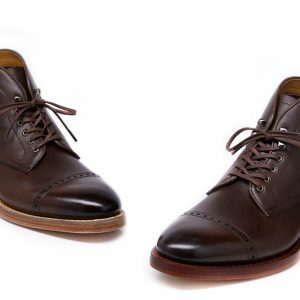 Present in USMC inspired dress boot in World War II era with our narrow and smart-casual toe box of ‘Mark’ last. 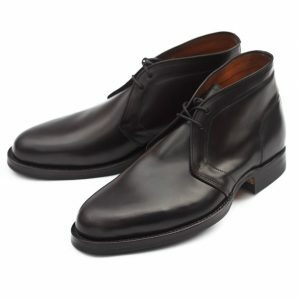 Plain toe, 270 degree handwelted flatwelt, single leather midsole, and Sagara rubber sole and heel. 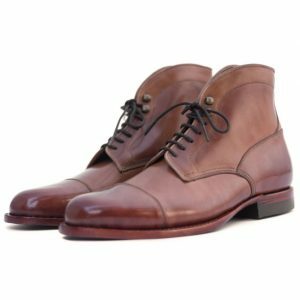 With natural edge trim, it completes the overall purpose of versatility in between personal expression of naturalness and nicety.